If there’s one thing that’s true about the military spouse community, it’s that we blog… a lot. And it’s perhaps no surprise then that there are a ton of military spouse bloggers who also write about their parenting experiences. Naturally, these experiences are a little different than those of their civilian counterparts. It’s always a little different when you’re moving during a pregnancy or trying to explain to a two-year-old why their dad is deployed or dealing with bullying in a DoDEA school. It’s just a little different. And so, military spouses have been writing about those experiences. I wanted to collect those sites to give you a super easy, super helpful guide to some of the best military spouse parenting bloggers out there. After all, sometimes these blogs are hiding in plain sight. I want you to have access to them–especially if you’re just beginning your journey as a parent. You don’t have time to do all of that research when you’re babyproofing everything! Grace is a family and marriage counselor who is also a military spouse and a blogger. While the Adventures of a Young Wife isn’t exclusively a parenting site, it does offer a great deal of parenting articles including help on parenting styles, how to co-parent with your partner, and how to deal with behavior issues. If there’s one thing you should know, it’s that Jess does not hold back. From everything you definitely want to know to what you don’t (but need to), this Air Force spouse tells it like it is in a way that is humorous and totally, totally real. After having three children, Jess has written many pieces ranging from pregnancy to postpartum to parenting. No matter where you are on your parenting journey, check her out. Amy writes as a new mom and National Guard spouse on her blog, The Strattons. Her perspective as a National Guard spouse and a stay-at-home mom is a valuable one that a lot of military spouse moms can identify with. Many of Amy’s articles focus on breastfeeding and offer a real-life look at what life is like as a brand-new momma. If you’re a momma bear (and if you’re not sure yet, my guess is once you see your kiddo’s sweet face for the first time, you probably will be), Covered Cubs is a brand that will intrigue you. Their blog helps parents advocate for their kids in ways that are meaningful and true to them. Devon’s a military spouse with all daughters (as you could probably tell from her blog’s title), and she dedicates part of her site to parenting tips she’s picked up along the way. Her articles run the gamut–from ones on toddlers to tweens– and cover topics like technology, school, and how to be a parent in military life. Julie’s chronicled her life as an active duty Army and National Guard spouse, so she has a unique perspective. While she doesn’t talk exclusively about military parenting, she does have a trove of articles that deal with parenting during deployment, PCSing, and other tough moments in military life. Julie’s also written about being an EFMP family and what an autism diagnosis for a military family means. 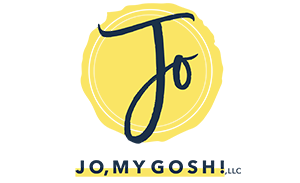 J.D.’s blogged extensively about her experiences as a military spouse and parent for years… and she’s done it in a way that is exceptionally informative and helpful. From product reviews and help to tricks and tips she’s learned about anything from toys to breastfeeding accessories to homecoming help, this is a site you’ll want to bookmark. As a nurse, Lauren has a ton of knowledge about the body and babies that helps to make her parenting articles incredibly informative and well-researched. As a military spouse, she also knows first-hand what it’s like to solo-parent and often writes about how to mitigate the effects of deployment, PCSing, and other military community obstacles that can be rough on kids. A Marine spouse, writer Lizann has experienced the spectrum of being a mom–from pregnancy to birth to parenting– with everything the military’s thrown at her, including her husband’s frequent deployments. She writes a lot about deployment and doesn’t forget to leave out the good, the bad, and the ugly when it comes to how to deal with kids and the whole military thing. Stars and Stripes Doulas’ blog is a wealth of information and factual advice and is especially helpful for those who are pregnant. From preemie care to breastfeeding help to relationship help for parents with children getting used to siblings, there’s a wide variety of topics available. Many of the articles also deal with military-related topics, like TRICARE. Created by The Direction Diva and founder of Dasium, Mighty Parenting focuses on helping parents foster healthy relationships and habits in their children. While this isn’t a blog, but rather a podcast, it still deserves a place on this list as a valuable resource for parenting. Are you working now (or planning to go back to work)? Fab Working Mom Life is written by a military spouse who also works full-time. Julie gives hard-earned tips on how to make military life as a career-oriented mom work through articles that focus on topics like organization and stress relief. Written by a former classroom teacher and military spouse who has experience in a variety of public school settings–including DoDEA schools–MilkidsEd is a website that seeks to empower parents to become advocates for their military children. Meg writes about the unique situations that impact military kids’ educations (like PCSing in the middle of the school year or dealing with specific DoDEA policies) as well as experiences that every kid may encounter (like going through the IEP process) regardless of military affiliation. Meg also writes about education policy and politics through the lens of the military family to help you understand the headlines as they pertain to your kids’ reality. Written by Stacy and Becky, two military spouses, Families on the Homefront offers first-hand help when it comes to school and military kids. Stacy is a writer and mom and Becky is a school psychologist; both perspectives lend a unique feel to this blog. You can grab a free printable binder for the next time you PCS and need to talk to the new educators in your kids’ lives through their Operation Dandelion Kids’ initiative. While you can’t see this site just yet, I thought it was important to include it in this list because it will be live by summer. The site will be the companion to a soon-to-be released book by military community publisher Elva Resa of the same name. Both the book and the website will focus on education topics for military kids and their parents. This blog is written by a veteran’s wife and focuses on homeschooling. Most of the posts are specific to homeschool curriculum–how to do certain activities, what activities to choose, and materials and products to use in homeschooling. Laura also has a sizable shop that features homeschool curriculum that she has developed. As a military spouse, Erica writes her blog as a narrative of their life. She shares snapshots of her days with her children and is currently writing about their upcoming PCS. Rheanna blogs about her family’s journey with the National Guard and life in the D.C.-metro area. She often writes about activities that are kid-friendly in the D.C. area (and sometimes you can even score a discount or freebies). A fashion and military spouse blogger, Samantha is currently expecting her third child, but she’s been writing about her experience as a mom for the past few years. She alternates between personal narrative and advice posts, so you’re sure to find something that will be both intriguing and helpful. Thanks to 1 Natural Way for sponsoring this post… and giving me the opportunity to find these gems in the military community! 1 Natural Way is a TRICARE breast pump provider that works to make sure you are able to take advantage of your TRICARE benefits as easily and painlessly as possible and all at no (or very, very little) cost to you. In stock at 1 Natural way are high-quality products like Kiinde, Medela, and Spectra. Simply fill out the insurance information form found here, choose the breast pump model you like (they’re all TRICARE-covered), enroll in 1 Natural Way’s Resupply program to get supplies and products sent to you monthly, and upload your prescription. Everything ships directly to your door so you can spend more time getting ready for or hanging out with your new baby. Thanks for including me in this list! <3 So many of these bloggers are my absolute favorites. I love how you divided them up into categories. I'm off to check out the ones I'm not familiar with yet. :) Have a great weekend!